Wild! 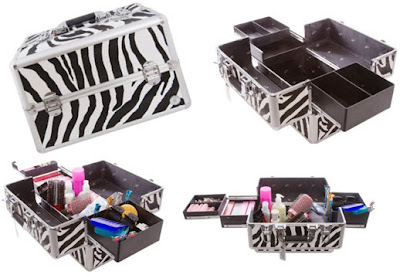 This gorgeous beauty box from Beauty Boxes is not only functional but also pretty! 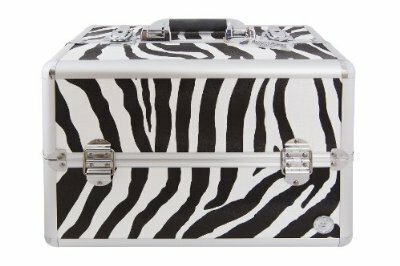 The zebra print is lovely and it has a light texture to it too. The size is as I expected and this box is on the small side (the company has a great range with lots of different sizes), but fitted more than I thought! 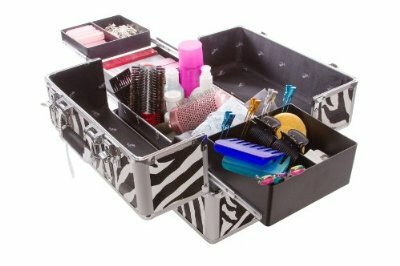 Immediately when seeing it, I thought it would make a great hair styling tools and products box – and it didn’t disappoint. In the bottom compartment, I fit a professional hair dryer, my straighteners and my curling wand, as well as my brushes and a can of product. 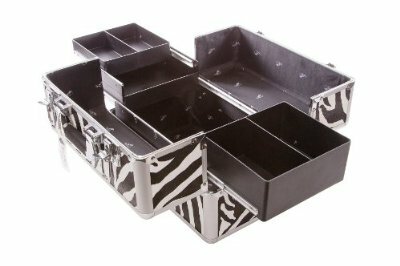 In the pull up compartments, I could put other accessories and products. I like that the drawers are different depth and sizes, this is really handy! I could definitely fit more stuff than I did in the pictures! As expected from a Beauty Boxes box, this item is built to a high standard; all hinges and locks are smooth, the finish is great, the delivery service was superb. It even came with a little stickers saying the name of the person who packed it, and a quality checklist inside, also signed by the person doing the controls! Really nice! This particular box retails for just over £50 and can be found San Remo Cosmetics & Make-up Beauty Case, in many finishes, and also browse their fantastic range (including my gorgeous Genoa trolley and make-up brushes).